Who else is dying to reach through the screen and take a big bite out of that bar? Sadly, the whole pan I made is already gone…I think it’s time for another batch! These bars are so so good and super simple to make! Obviously, I have a love for bar desserts. 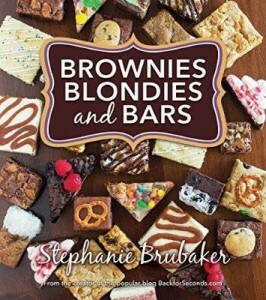 I wrote a whole book about them: Brownies Blondies, and Bars! Have you preordered your copy yet? If not, click here and grab yours today! 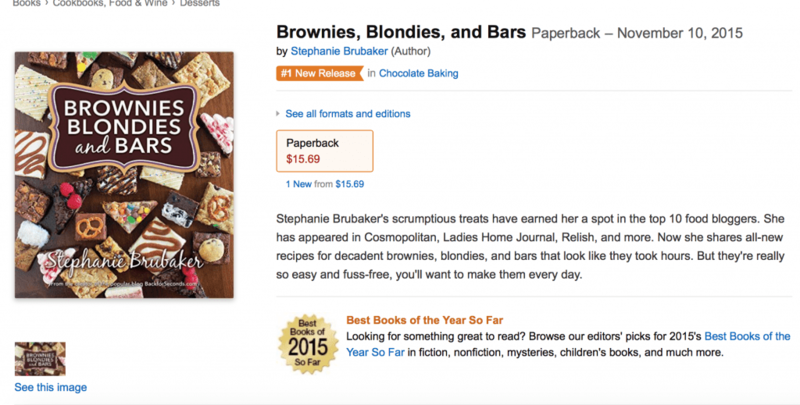 You all are so awesome and supportive that you put my book in the #1 spot in the Chocolate and Baking category!!!! Now, back to these blondies. The blondie base is chewy and buttery, and completely delicious all on it’s own…but I couldn’t stop there. 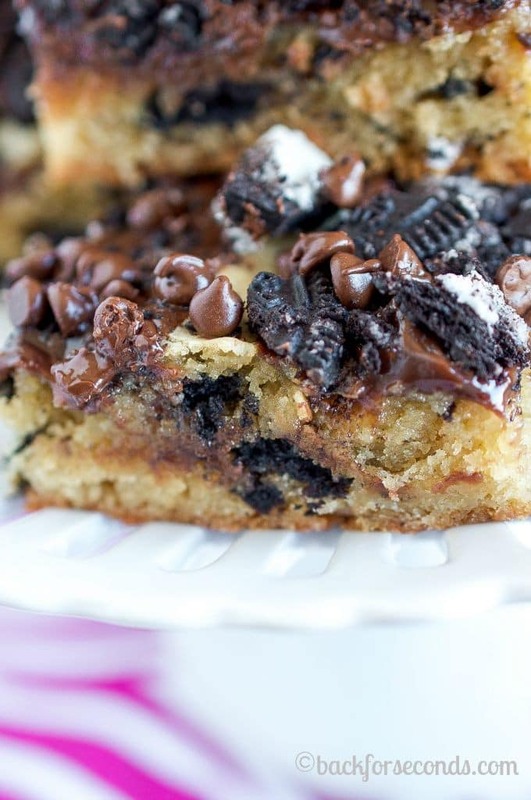 Gooey hot fudge, loads of chopped oreos, and a sprinkling of chocolate chips put these blondies in the over-the-top-delicious category. Grab a glass of milk and enjoy!! These look amazing and that book sounds like a dream come true to me. I need to pre-order a copy. 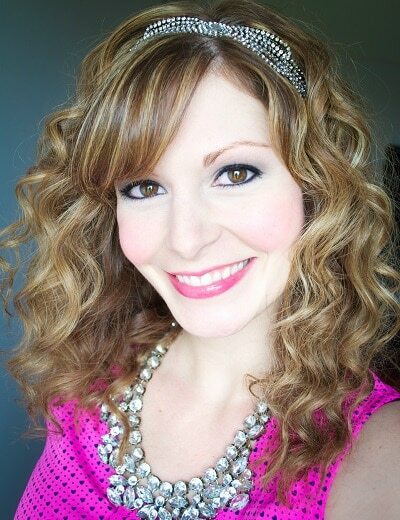 Oh, Stephanie!! 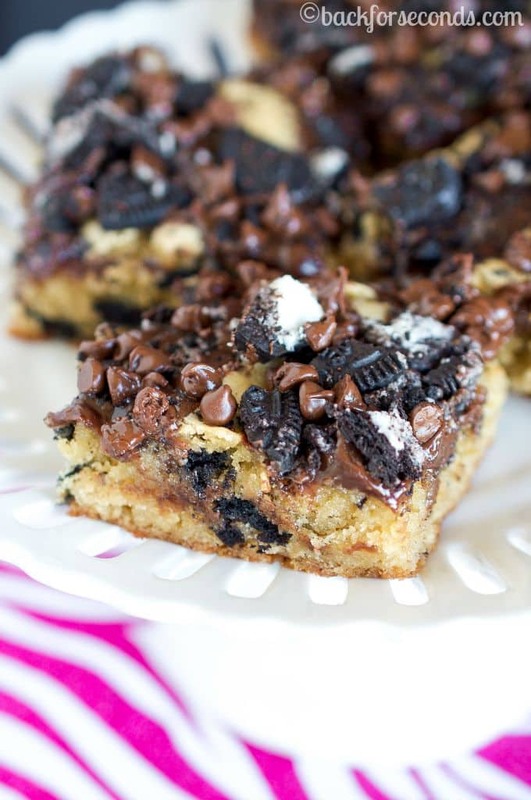 These look so gooey and perfectly delicious! Congratulations on your cookbook too! Huge congrats on the book…I love the cover!! 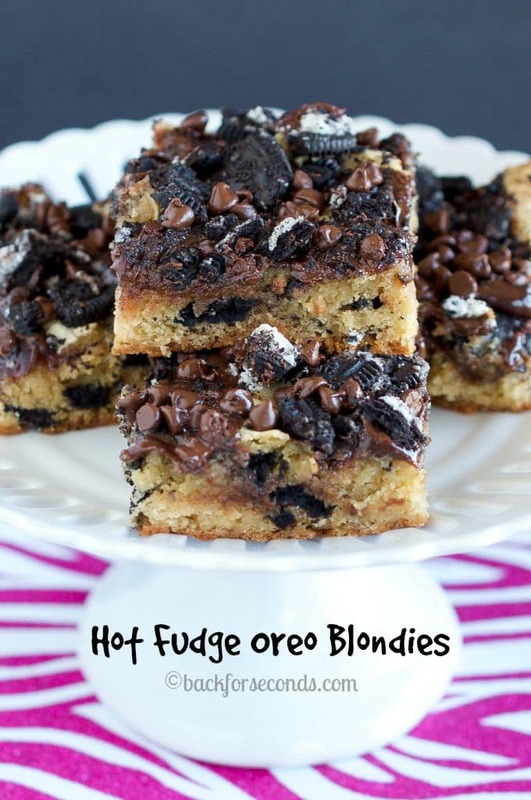 And these blondies are just over the top fun! Such a great idea to make for friends to share the love!! These look amazing – and if all the recipes in your book are half as good as this one…it’s destined to become a best seller! Yes, I wanted to reach through my screen and eat one. You’ve put three delicious things in one big treat. I support your decision to make another pan. Congratulations on the book already doing so well! 🙂 And these blondies looks crazy good. OH MY GOODNESS! 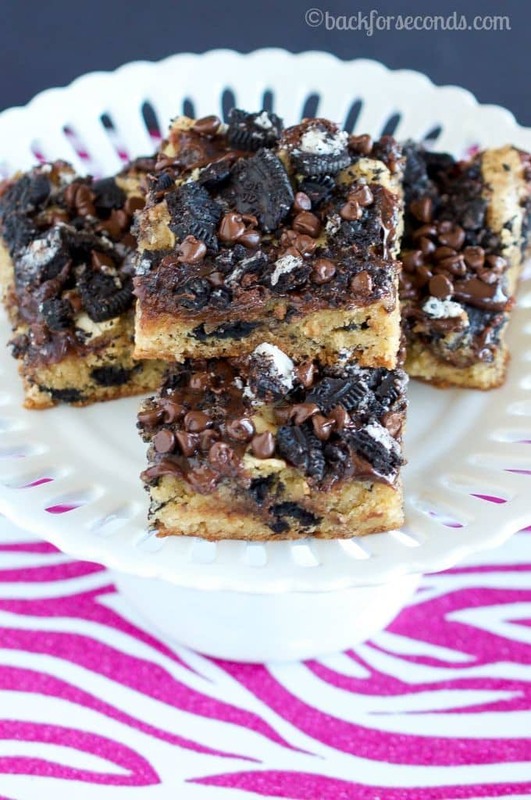 These blondies are all I’ve ever wanted in life! Pinning! Me! I am reaching through the screen! Congratulations again on the book, can’t wait to get a copy! November 10th is going to such an exciting day for you and your family!!!! Ohhh that was evil! Lol! Sinful even…and I like it!